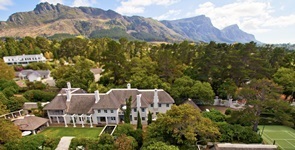 Cape Town – The notion that rich foreigners are flocking to the sunny sands of Cape Town or warm waters of Durban to buy up top properties for prices out of reach of normal South Africans has been debunked by a leading property executive. Foreigners make up less than 1% of the people who buy property in South Africa, according to Pam Golding Properties chief executive Andrew Golding. “So it’s actually a tiny amount,” he said. “So the notion that foreigners are pouring in and buying up all our properties is in fact just not the case,” he said. Golding also said foreigners were fussy and would only pay market price for a property, which would go against the idea that they pay exorbitant prices, which would spoil any chance for locals living off the Rand. In fact, Golding said, property in South Africa is under priced. So foreigners would see buying in South Africa as a good deal. "It's strange that we're trying to make it as hard as possible for the few foreigners who do want to buy here to buy ..."
Golding talks to Fin24's Moeshfieka Botha on why South Africa should encourage foreigners to buy property here. So the notion that foreigners are pouring in and buying up all our properties is in fact just not the case. 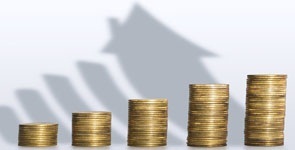 Pam Golding Properties remains cautiously optimistic about real house price growth in 2014, Dr Andrew Golding says in an overview of the market.